Ever since October 2018, I've been living with the Galaxy Note 9, a device that checks almost all the boxes I'e ever had for an Android device. I've previously summarized my predominantly positive experience with the phone in a separate article, and aside from a few small issues here and there, it’s been a honeymoon experience. 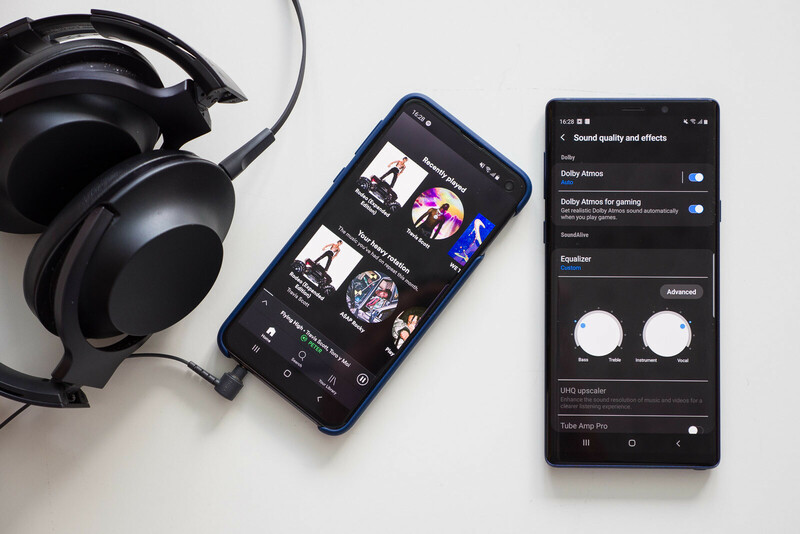 With so many intriguing new devices here in the office, I simply can't help it - I'm more often than not enticed to switch to the latest and greatest devices that arrive, and as privileged it might sound, the best part is I'm allowed to do that for free. That small Galaxy S10e was oh-so appealing, and as you might have guessed, I couldn't help myself - bit the bullet, put my SIM card in an S10e, and here’s what I learned from my journey. From the get-go, stepping down from the enormous Note 9 to the S10e is a rather big deal. Having got used to the larger device, the sensible S10e feels like a child’s toy, but for all the right reasons. 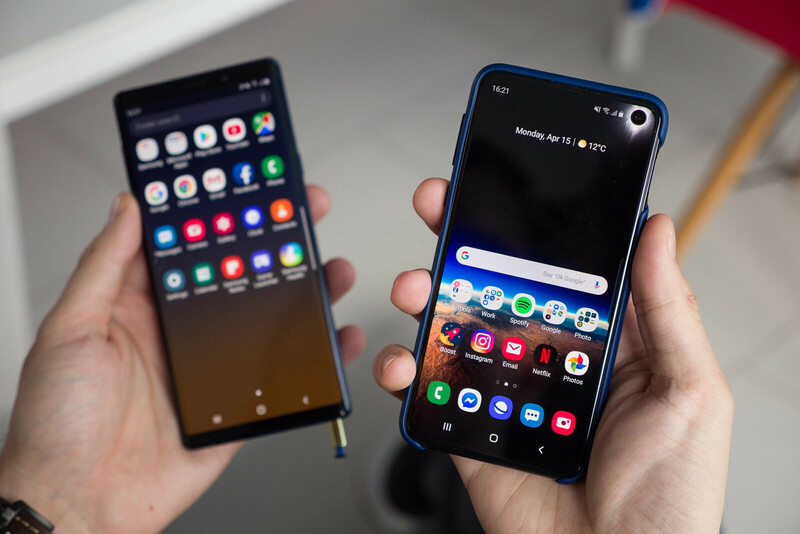 The small stature of the newer phone makes it very easy to fiddle with, and i have to admit that the S10 felt way more manageable and easy to use with a single hand from the very first moment I touched it. 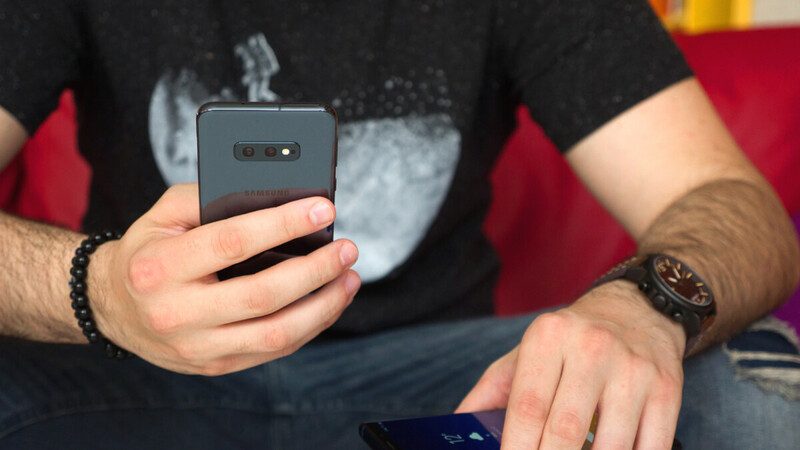 Reaching the notification shade with my finger, a nearly impossible feat to achieve on the Note 9, was immediately feasible on the S10e, and we’re talking about single-hand usage here. Nitpicking mode on: I somewhat dislike the new glossy frame of the S10e as it feels a bit cheapish. I prefer the matte frame of the Note 9 more as it feels way more premium and adds a classy detail to the exterior. I'm also a bit disappointed by the power button on the specific unit I use - it's wobbly and makes a funky sound when touched lightly, which is quite irksome and got on my nerves fast. It's something small that I noticed, but our S10e unit can't boast the best build quality. Hopefully this isn't true for yours as well. Additionally, it was so refreshing to handle such a lightweight phone. Don’t get me wrong, I eventually got used to the Note 9’s reassuring heft, but the S10e reminded me just how heavy the S Pen monster is. Even with a case on, the S10e is way more compact than the Note 9. As someone who doesn't really like heavy phones, the munchkin feels absolutely perfect to the point where I have to tap my pockets to make sure it's on me. This never happened with the Note 9 before, as its reassuring heft was always indicating its presence in my pocket. Behind or ahead the curve? 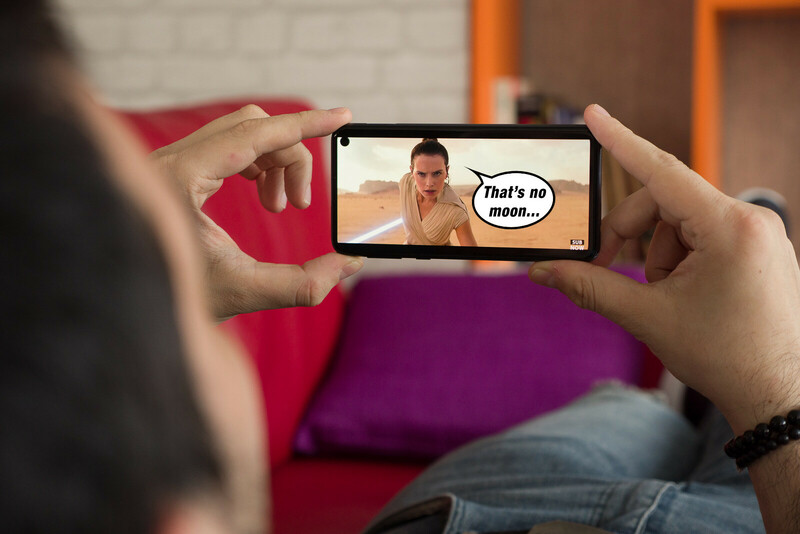 By now, it’s clear that aside from aesthetics, there’s really no real-life benefit of employing a curved display. Don’t get me started on the Edge panels - there was some potential there a few years ago, yet Samsung has all but given up on improving the already-questionable usefulness of this functionality. I don’t use Edge panels, and don’t really know anyone that does. Let’s be straight here, folks - curved screens look cool in the beginning but they get old really fast, not to mention that they are actually detrimental to the overall user experience. That said, the fully-flat screen of the S10e immediately felt way better than the flashy curved one on the Note 9 from a pure usability standpoint. No longer was I randomly upvoting/downvoting Reddit posts with the base of my thumbs, no longer were ghost touches here and there part of my everyday life, and finally, I was no longer required to exclusively use my phone with two hands - one to hold it, and the other one to actually interact with it. 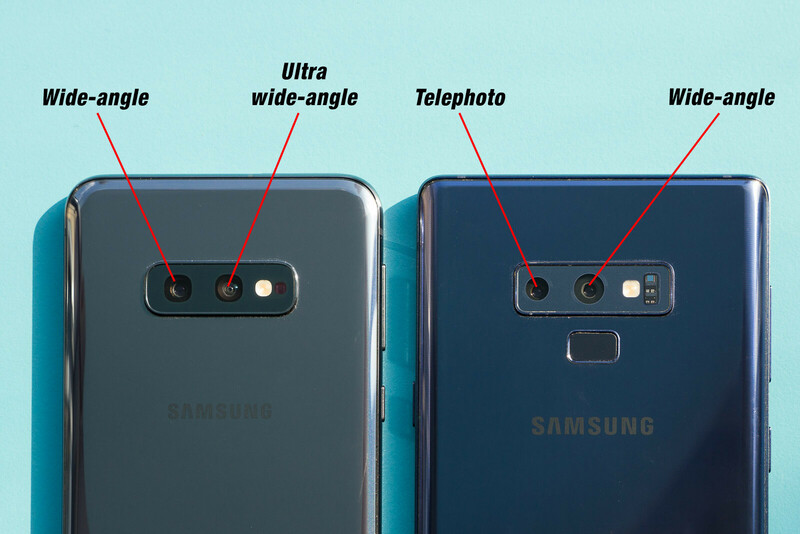 No such issues with the S10e, which is a blessing and really makes me reconsider why I have tolerated curved screen phones for that long. However, I admit I suffered from what can be best-described as digital claustrophobia due to smaller display. Of course, stepping down from a 6.4-inch display to a 5.8-inch will always require a certain readjustment period for things to nicely fall in place. After a week of using the S10e, I can only say that I've come to terms with the smaller display, though I admit that I miss the larger footprint of the Note 9’s screen on a daily basis. Social media and Netflix were way better on the larger display, and I found myself yearning for more screen real estate on many an occasion. And what about that punch hole? It didn't really bother me a bit. Sure, I am not stoked to have a part of my TV shows obstructed by a hole, albeit a small one, but overall, the punch hole is a price I’m willing to pay. Finding creative ways to mask away the punch hole was a funny side quest that I happily accepted, and apps like HideyHole and the dedicated subreddit definitely helped with inspiration. The black hole pic did, too. There is no LED notification light on the S10e. Big deal, you say, but I unironically dislike the removal of this signature Android feature. Always-on display is a worthy replacement, but leaving it constantly enabled certainly drained my battery at a fastened pace, which I don’t enjoy not even one bit. Seeing where the industry is headed, I will have to adapt fast to the no-LED situation, but after so many months with the Note 9, I really miss the blinking light at the top of the phone. 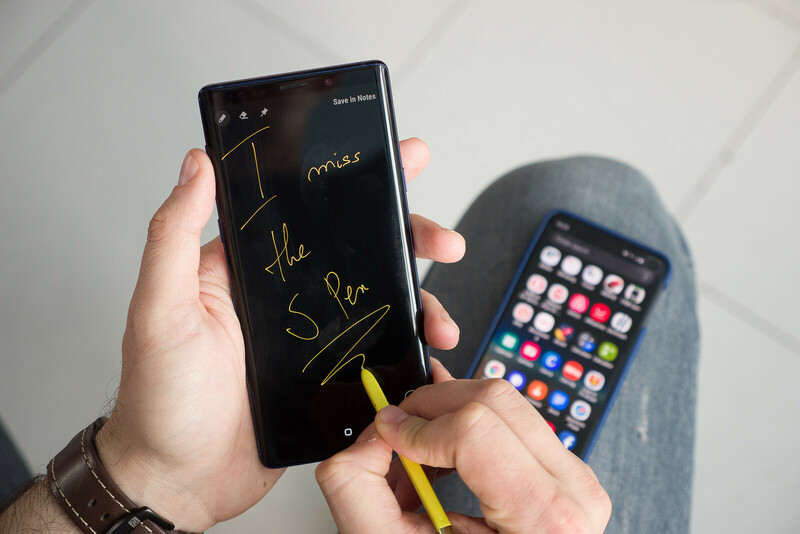 What about the S Pen? Ah, yes, the single most unique functionality of the Note 9. Yes, I miss that one, and although i was left with the impression I don’t use it that much in my day-to-day shenanigans, switching to the S10e quickly revealed that the opposite was true. I find myself poking the bottom right frame of the S10e a few times every day, hoping to hear the familiar and oh-so-satisfying click of the S Pen, but am left with a disappointing silence every time. They say you never know what you have until it’s gone, and this is quite applicable to my situation. The sad thing is you can’t really emulate most of the functionalities of the S Pen with a third-party app. Markup in Instagram stories was a breeze with the nifty stylus, and so was Smart Select, and Live message, and the handy off-screen memo functionality which is a life-saver when you’re in a hurry. While I can only praise the capacitive fingerprint scanner of the Galaxy S10e for its snappiness, I can’t really applaud Samsung’s decision to raise it so much. I find myself weirdly stretching my thumb to reach it, and this yells “bad design decision!” on a phone that’s otherwise very convenient for single-hand usage. If the sensor was half an inch lower, it would have been perfect, but alas, thumb-stretching it is! That said, the fingerprint gestures to bring down the notification shade are a neat although totally unnecessary addition to the phone - the notification shade is quite easy to reach even without this crutch, and I often found myself swiping it down by accidentally touching the power button. Needless to say, this aggravated me to the point of completely disabling the functionality. The wide-angle camera was fun for a day or two, but being a person that loves to shoot portraits, I deeply regret the switch from a wide/telephoto setup to a super-wide/wide one. Sure, Note 9 users aren't the target demographic to upgrade to the S10e, but still, I did, and I regret the camera experience. The fact that the overall camera quality hasn't improved is another nitpick I have. Aside from the new Super steady stabilization mode, the S10e and the Note 9 are basically the same when it comes to stills and videos. Incidentally, this coincides with the conclusion of my Galaxy camera evolution article from a few weeks back - Samsung is slow to improve its cameras and is seemingly always lagging behind one or two very close competitors. As I love to say, “the Galaxy camera - always a bridesmaid, never a bride”. That said, the fact that Samsung has opted to use the regular shooter for portraits instead of the much more suitable telephoto lens on all S10 models is definitely a bad move. As you probably know, in photography, portraits are usually shot with longer lenses as they create a greater separation between the subject and the background, perspective compression for a more flattering look, and achieve better bokeh. Shooting portraits with a wide-angle lens is the exception to the rule as it helps capture some artsy shots, but I don’t think it’s cool that Samsung is forcing this Live focus implementation on all Galaxy S10 users. We can debate what classifies as portrait, but those regular shots with blurred background are not it. You might think that I’m all too negative about the S10e’s camera setup, but that’s not the case. It’s just that I haven’t really felt the need to shoot with the ultra-wide camera. I’m certain it would be extremely useful if you’re on a vacation and want to capture the breathtaking sceneries and urban settings in full, but I’m yet to find myself in such a specific situation. With my usage, I usually have to charge the phone at around 4pm every day, otherwise I’d be running into the red percentages by the end of the workday, which is not quite good. Meanwhile, the Note 9 would have been at over 30% with the same usage. I’m not impressed with the S10e at all as I had hoped that the FHD+ display paired with the new chipsets would produce stellar battery life results. Still, one upside I want to point out is that if you disable the always-on display functionality, you will experience little to no standby drain, which is great! I clearly remember the old times when you never really knew how much battery juice you would have left once you pick up your Galaxy as the rampant background processes loved to squeeze the battery dry. Despite One UI is not loved by many, I liked it from day one and still find it particularly cozy and reassuring of sorts. Sure, it has its downsides, like a bit too childish presentation and settings being scattered around all the illogical menus. I've also never imagined I’d enjoy something with “Bixby” in the name, but the new Bixby Routines feature is actually very useful. It lets you automate your phone and smarten up your life by employing a conundrum of triggers and conditions. The sad part? This feature is exclusive to the Galaxy S10 series for no apparent reason than exclusivity itself, and it hurts that the older models did not receive this feature via the One UI update as well. There’s a headphone jack. Win? Bluetooth earbuds make my life unnecessarily complicated due to their janky connectivity issues and uninspiring battery life, so I still rock wired earbuds and headphones everywhere I go. I know I look archaic with my wired earbuds, but they’ve got eternal battery life and zero connectivity issues. That’s why I was very, very surprised when I learned that the S10e would indeed sport a headphone jack. It would have been understandable for Samsung to nix this one by coming up with the excuse of space constraints, yet it didn't, and I respect it for that. Sure, not being pressured into using a dongle or Bluetooth earbuds is a minor victory on my part. So do I love it... or do I hate it? I guess "'neither" would be the answer that's closest to the truth. The Galaxy S10e was never intended to attract the type of crowd that'd use the Note 9 in the first place and can't really replicate most of the features that make the latter what it is. That said, the core Samsung experience is here, and it wouldn't be too far-fetched to say that the Galaxy S10e replicated 90% of my day-to-day usage with the Galaxy Note 9. The problem, or should I say the disappointing parts, could be traced to those 10% that were absent. But isn't this actually true for all Android devices? Be it the small details here and there, or the different way of doing certain things, or even the reluctance to change my established habits, there was always something pulling me back to the larger and slightly older device. Don't get me wrong, the Samsung Galaxy S10e truly is the great small flagship phone Android users have been clamoring about for years, but it's not for people that are comfortable with using 6.4-inch or larger phones. The S10e is great all-around, but is not for me. I'll have to pass up on it and return to my roots. Since the Note 5, I have been unable to imagine using any other phone. I know the value of my spen. I use it constantly. Saw the 10e when getting the Mrs an s10 and I loved the dickens out of it. But still can't drop the pen. Nope. Heck I'm still using my Note 10.1 2015! This is one of if not the nicest reply I've seen on PA. Thanks for restoring my faith in humanity. Are you still using the Note 5? If you are then I suggest you switch to the Note 9 especially now since you can get for around 800$. Though I understand if you want to wait for the Note 10. 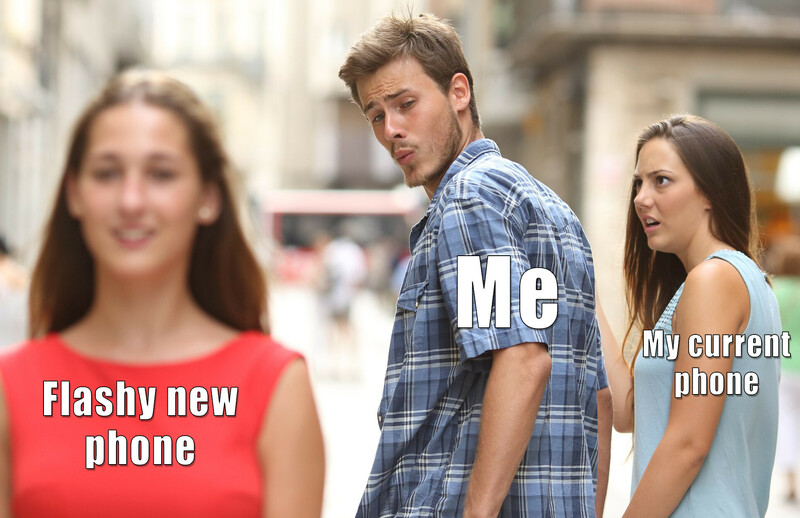 The saddest time for me was having to go from the Note 7 to the S7E. I couldn't wait for the Note 8 to drop. Now I can't wait for the Note 10 to drop, but the tech update to Pie will hold me over until then. I felt the same since the Note 2. Nothing comes close. My S10e also has a wobbly power button, it just feels a bit loose and makes a sound when I'm lightly touching it. Mine don't. You need to take yours back and get a replacement. Same. A bit wobbly with mine too. I think ALL units have some wobble as I noticed even in Samsung stores. I think some people couldn't feel it as it is not an issue at all. I'm loving my S10e as it is compact in today's screen size standard. I just wish Samsung will keep on building 5.8 inch phones in the future, just as Apple keep their iPhone Xs size. The one and only complaint I've had about my 10e is the resolution, I wish they'd stuck with 2560x1400 (or whatever the stretched height version would be). There are things where the 2280x1080 is noticeably less useful than my old S7. As for the Edge panels, I've always said the software portion had some merit but not enough to justify the curved screens. And the 10e still has the Edge software, so that should shut up the people who insisted it only worked right with the curved screens. You need to dial it back about 7 notches, cause you're not reading anything I said and you're spouting nonsense. I explicitly said "MY 10E" meaning I have the phone. I directly compared it to my old S7, which your Pixel does NOT match. The original Pixel was only a 1080/FHD screen, not QuadHD. You can't see a difference between a 10e and a Pixel because there isn't one. The Pixel 2XL had QHD, matching the S7 other than a little extra room for height. There absolutely is a noticeable difference between the FHD 10e and QHD S7. This was interesting. I like that he shared the pros and cons of his experience without putting down either phone. Really interesting to know one of the PA editors use Android phone finally. Welcome. I wonder if this was the Exynos or Snapdragon model. I don't remember seeing it mentioned. Always curious with the Samsung models when someone mentions their personal experience with battery life. Really good article. User based in the real world and offers real +s and -s. Enjoyed not feeling like writer had to appease $ome company with the "review". Commented on a 'very popular' Android website recently that I thought they did too much 'pleasing' of manufacturers, to the neglect of their consumer readers... made the mistake of calling them 'shills'... and oh boy, did that upset them. They banned me, and in a giant hissy fit, went after a whack of my earlier posts that were perfectly OK, and and even had reader responses, and moderated those out too. I told them to grow up! I am quite happy to be banned. Don't miss them. They need to know! S10e, Qualcomm 855 chip -3 days battery life is doable for me (6hrs screen on time). 2 days on every charge with plenty of usage. Night mode always on, battery mode to moderate (70% CPU, -10% brightness), WiFi calling when at home. Airplane mode overnight. Phone has great standby power consumption.